The orange part and pink fringe are from an old tablecloth, and the patterned part is an old pillowcase (we have a big supply of scrap material here at camp). I didn’t use a pattern, I just looked at pictures of clothespin aprons online and sketched mine out similarly. 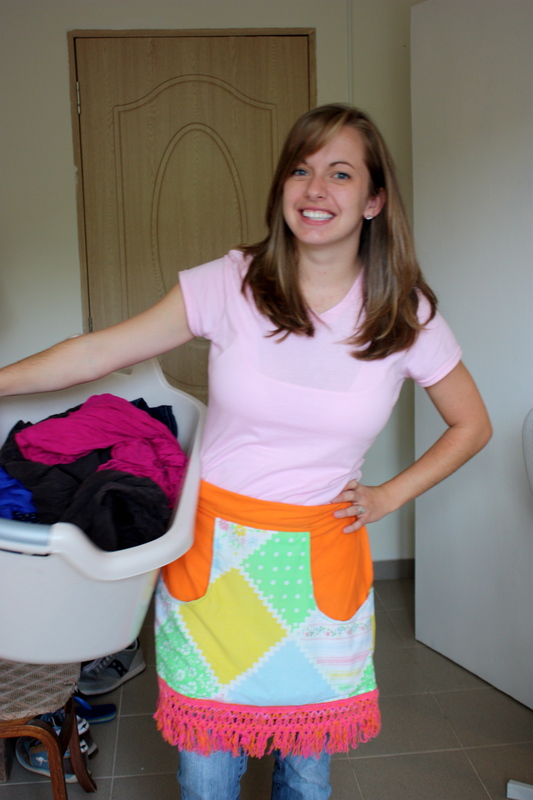 I really love it and it makes doing laundry so much easier and more fun! LOL! It might make hanging laundry easier, but the fun will wear off soon, trust me! ;-) That's a very cute apron too, and an excellent usage of scrap material.